Security Training - Interstate Security - Long Island's Top security training school, Security guard company and private investigation firm. Interstate Security and Investigations Inc. is an Approved NYS Security Guard Training School located in Central Nassau County. Our courses are taught by retired NYPD Officers who are Certified New York State security guard training instructors. 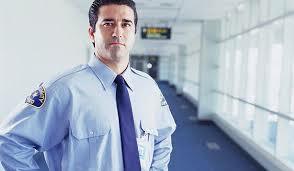 The demand for security guards is higher than ever - call today to jump start your new career! 8 Hour Pre Assignment | This is an 8 hour course required by New York State as the first step in obtaining a security guard registration card from the New York State Department of State. The course provides the student with a general overview of the duties and responsibilities of a security guard. Topics covered in this course include the role of the security guard, legal powers and limitations, emergency situations, communications and public relations, access control, and ethics and conduct. The passing of an examination is required for successful completion of this course. 16 Hour on the Job Training | This is a 16 hour course that must be completed within 90 days of employment as a security guard. 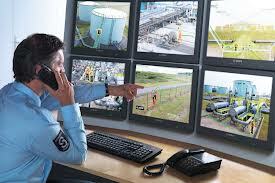 The course provides the student with detailed information on the duties and responsibilities a security guard. Topics covered in this course include the role of the security guard, legal powers and limitations, emergency situations, communications and public relations, access control, ethics and conduct, incident command system, and terrorism. The passing of an examination is required for successful completion of this course. 8 Hour Annual Training | This is an 8 hour course that must be completed within 12 calendar months from completion of the 16 Hour On-the-Job Training Course for Security Guards, and annually thereafter. The course is structured to provide the student with updated and enhanced information on the duties and responsibilities of a security guard. Topics include the role of the security guard, legal powers and limitations, emergency situations, communications and public relations, access control, and ethics and conduct. This is an 8 hour course that must be completed within 12 calendar months from completion of the 16 Hour On-the-Job Training Course for Security Guards, and annually thereafter. The course is structured to provide the student with updated and enhanced information on the duties and responsibilities of a security guard. Topics include the role of the security guard, legal powers and limitations, emergency situations, communications and public relations, access control, and ethics and conduct.